Posted on 12, June 2015 by EuropaWire PR Editors | This entry was posted in Business, Chemicals, Construction, Environment, News, Portugal, Science and tagged American Chemistry Council, Building bricks, Cascais, Circularity, CSIRO’s Oceans and Atmosphere Flagship, CSR, Doug Woodring, Dr. Denise Hardesty, Environment, growing plastic problem, hard-to-recycle plastic waste, ocean recovery alliance, Patty Long, plastic, Plastic bottles, Plastic made from algae, plastic producers, plastic-to-fuel, plastic-to-fuel technologies, plasticity forum, Plastics Industry Trade Association, PORTUGAL, Steve Russell, sustainability, sustainability experts, waste, waste reduction. Bookmark the permalink. “The Plasticity Forum is an inspiring event, which brought together a real mix of business, industry and entrepreneurs who are all doing important work which will result in reducing the problems of waste in our communities, waters and ocean,” said Steve Russell, VP, plastics division, American Chemistry Council. The Plasticity Forum is a cross section of thinkers and those who appreciate scale to expedite the solutions and innovations that exist today to keep plastic from becoming a problem for our communities and environment. Plasticity offers a global discussion and perspective on solutions, how to standardize across products or industries, and how to bring about new opportunities in production and recovery operations. 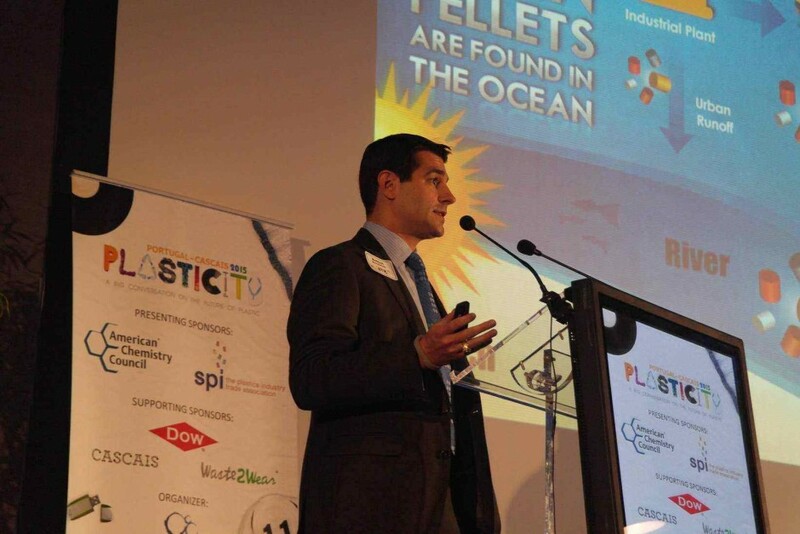 The Plasticity Forum took place June 8-9 in Cascais, Portugal.